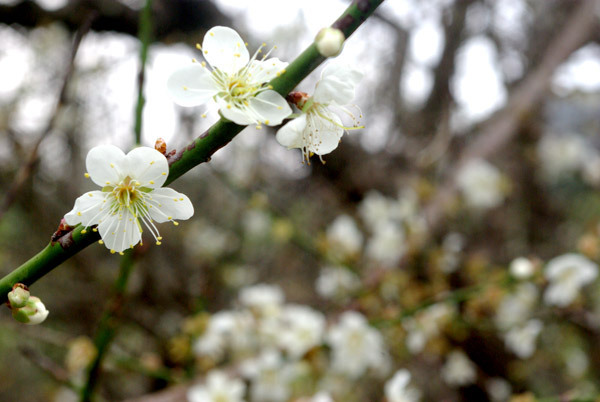 Rare here on Okinawa are the Plum Blossom Flowers. Much like their cousin flowers from the Cherry Tree, these delicate white flowers bloom during Okinawa's winter season, normally in mid-January. 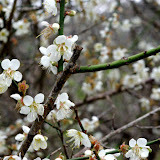 Typically, however, they bloom a week preceding the Cherry Blossom season. Once in full bloom they last for about a week. 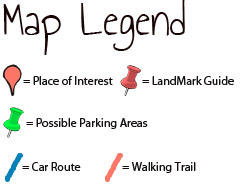 Directions/Parking. 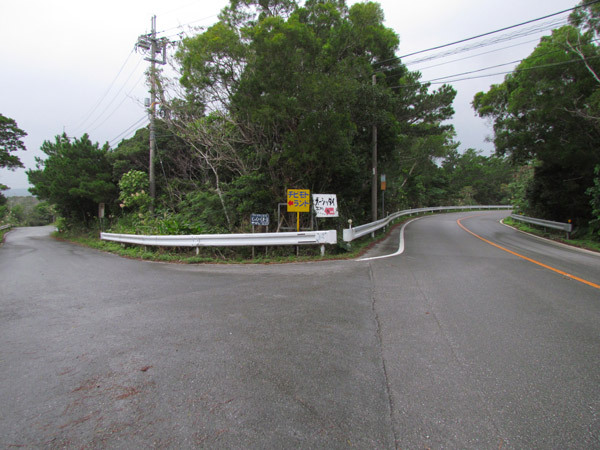 Take Highway 331 north into Nago City (Nago City's east seaside) into the town of Teniya. Study the map carefully. Look for these signs (click here) on the left side of Highway 331. They will be at a Y-intersection. Turn left here. 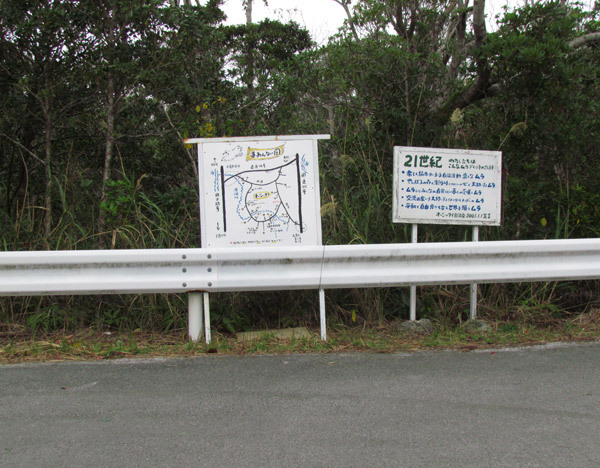 Follow the road for about 4km till you arrive at a T-intersection with these signs on the corner. It is here that you arrive at the village of Oshittai. Recommendation. It is highly recommended that you park near this T-intersection. The roads are narrow and during blooming season, there will be a line of cars driving through along with many pedestrians. The rows of Plum trees start about 50 meters from the T-intersection.